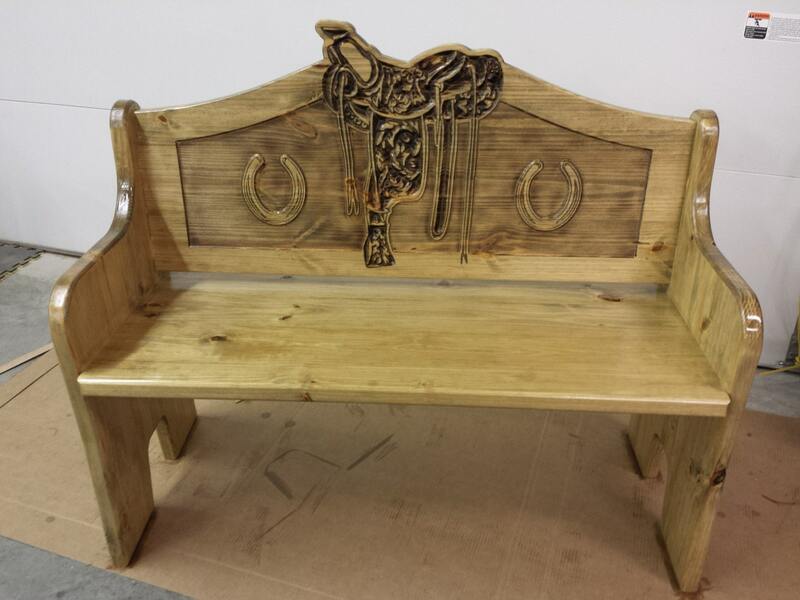 This beautiful bench Features a Western Saddle Carved Deep into the Pine Wood. Built with quality and precision that will certainly be an heirloom piece for years in the family. 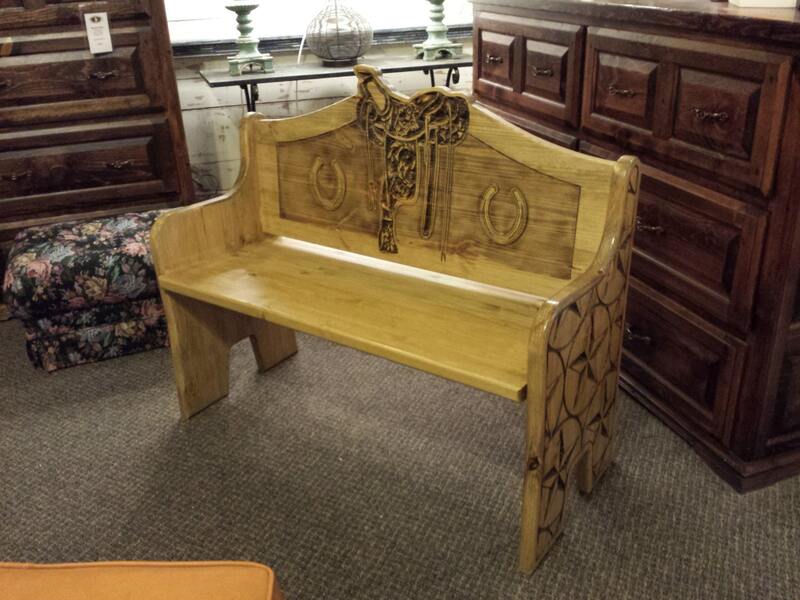 This Bench is 39 High x 19 Deep x 45 Long. 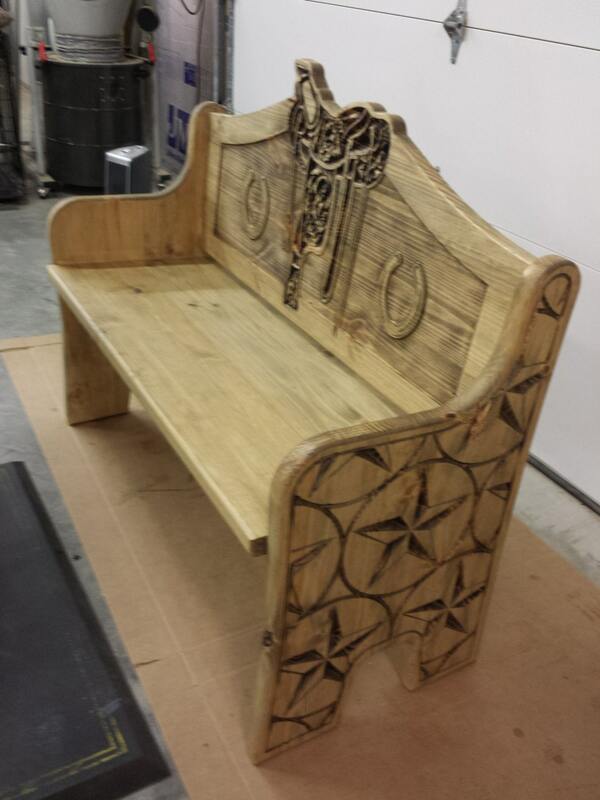 Please note this bench is fairly large and does come disassembled however it's easy to put together (only 4 pieces). Upon order Jo's Wood Gallery will email you a simulated design for approval.